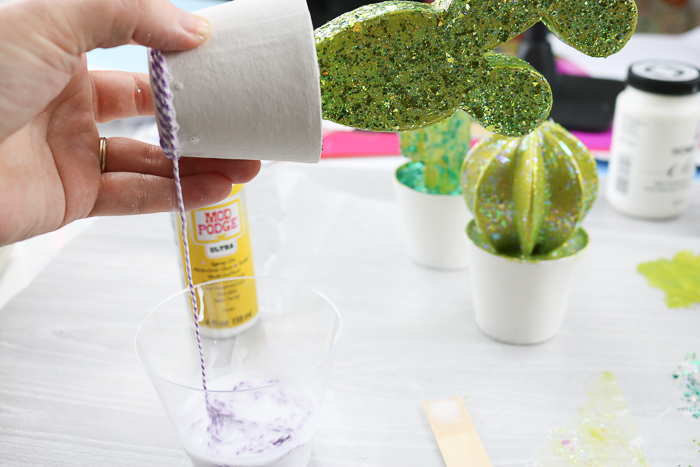 A DIY cactus is oh so easy to make! 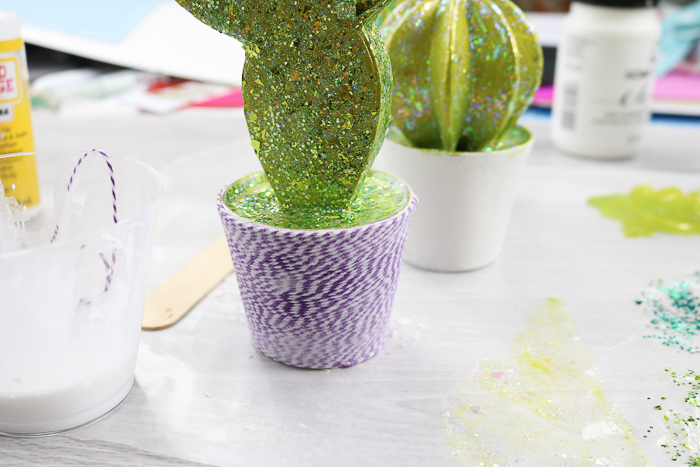 We are adding an extreme glitter finish to a cute cactus in minutes for an adorable addition to any room. 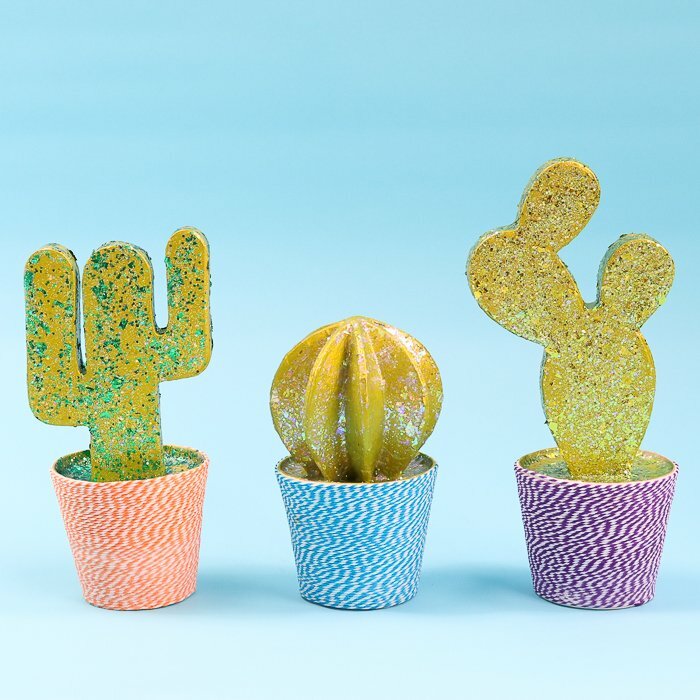 Cactus home decor has never been easier to make! I am also trying out the new Mod Podge Ultra every day this week as a part of Craft Lightning Decoupage. So, you will want to stay tuned and also scroll down to the bottom of this post for the other crafts from today’s bloggers! 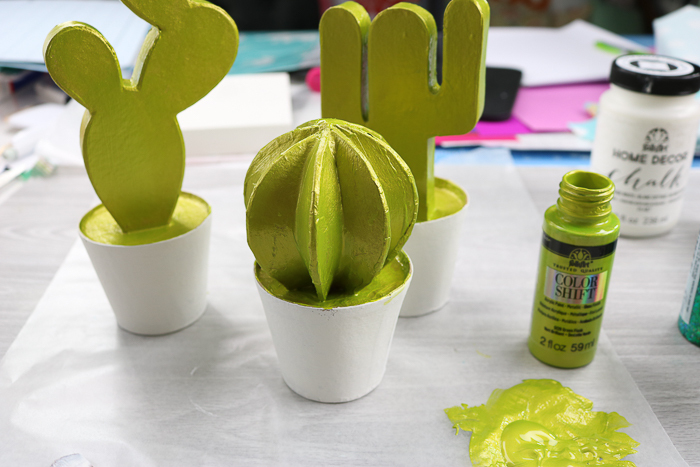 Start by painting the paper mache cactus. You will need to paint the tops green and the pot white. I love the color shift paint under the glitterific paint but any green will work here. 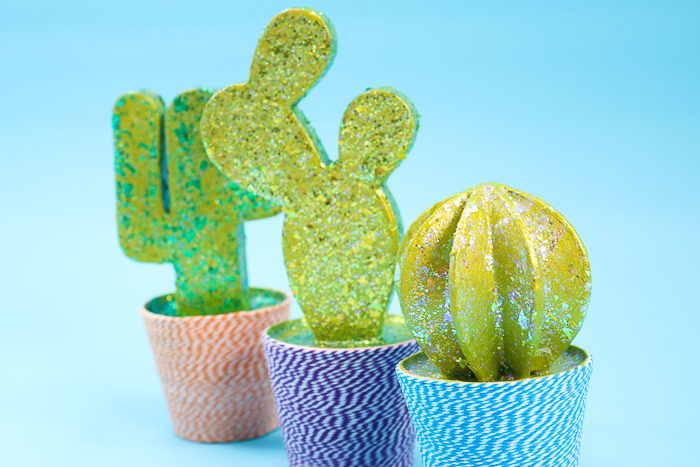 Allow that to dry then come back with three different colors of the glitterific paint and add one to each cactus. 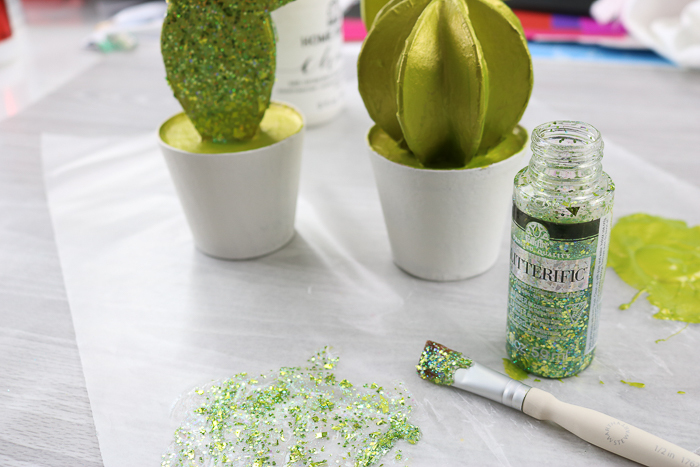 This paint is the ultimate in glitter paint. It has all different sizes of glitter all in one bottle. One thick application and you have all of the glitter you could ever want! Allow each DIY cactus to dry completely before continuing. Then it is time to add the twine to the pot. If you have ever wrapped anything in twine, you know that it can be tedious. I have an easy method for you today that just might have you wrapping all the things! I am using the new Mod Podge Ultra for the task. Just shake the bottle well and pour a little into a disposable cup. Add a length of twine to the Mod Podge and push in well with a craft stick to soak. Then start pulling the twine out of the Mod Podge and wrapping around your pot. I recommend leaving the twine attached to the roll at the other end so you can keep pulling off lengths and wetting them as you go along. Then just twirl your cactus around to make the twine wrap around the pot. Continue until the entire pot is covered and set aside to dry. I recommend setting on top of a strip of wax paper so the pot does not stick to anything. 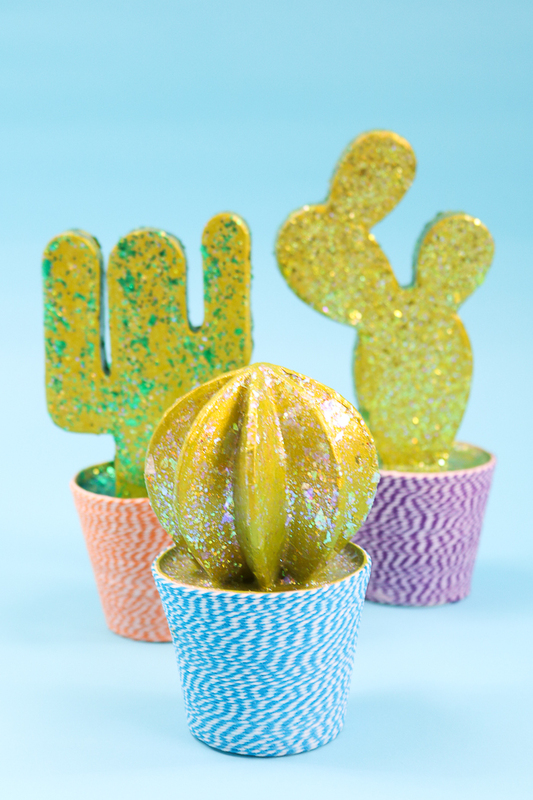 Allow to dry overnight then your cute cactus is ready for display anywhere around your home! A DIY cactus is even easier with these techniques! 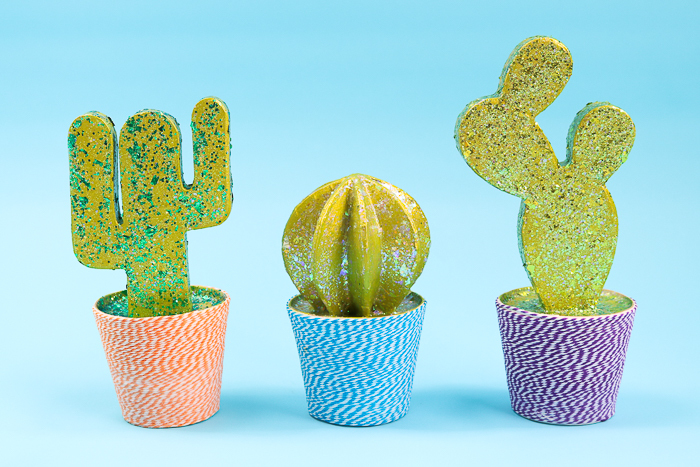 Just think, some cactus room decor is just minutes away and you get that gorgeous glitter finish! 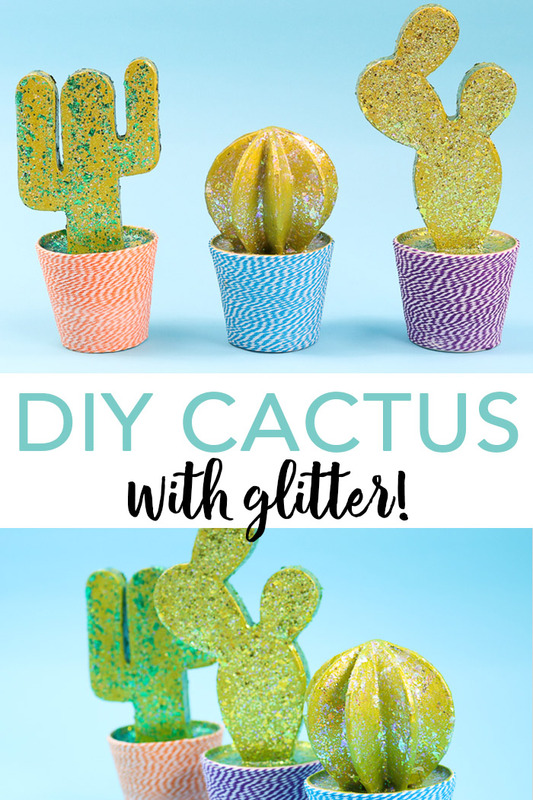 If you love all things glitter, you are sure to love this cactus home decor and how it will make any room sparkle. 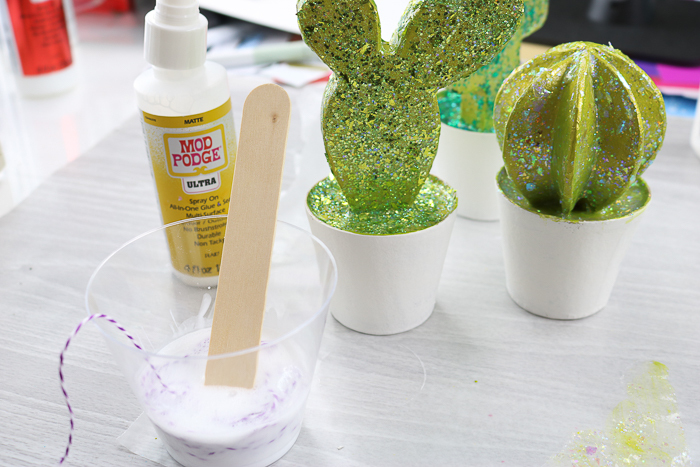 If you want to learn more about Mod Podge Ultra, be sure to stay tuned all week. I am using it in a variety of ways on a variety of surfaces. This is just the beginning! 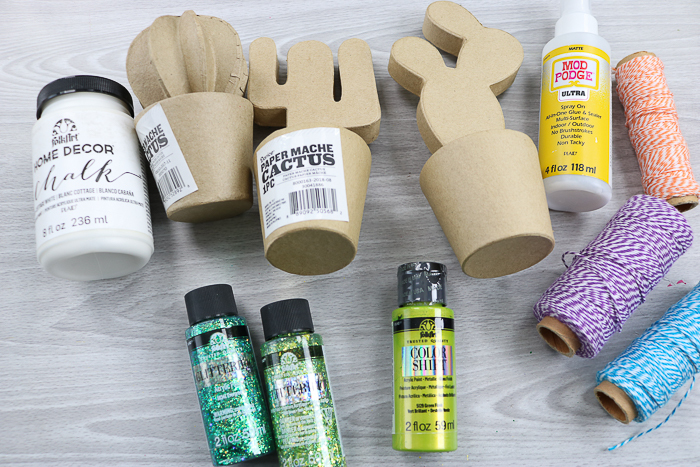 So, grab your supplies and make a DIY cactus for your home! You will love the results! Love this cactus room decor and want more ideas? Try the links below! 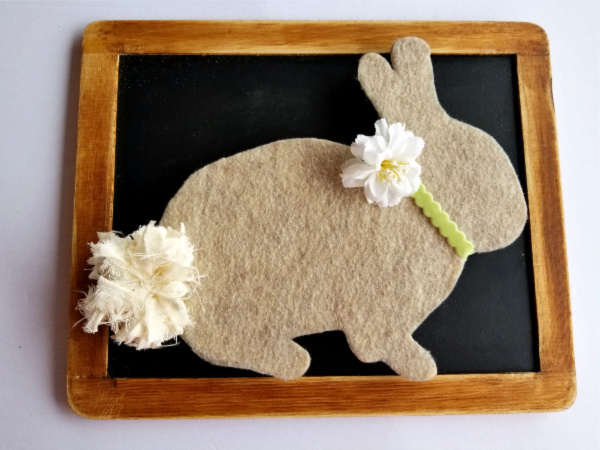 Make this felt bunny craft from Polka Dot Poplars for a cute and rustic addition to your Easter decor. 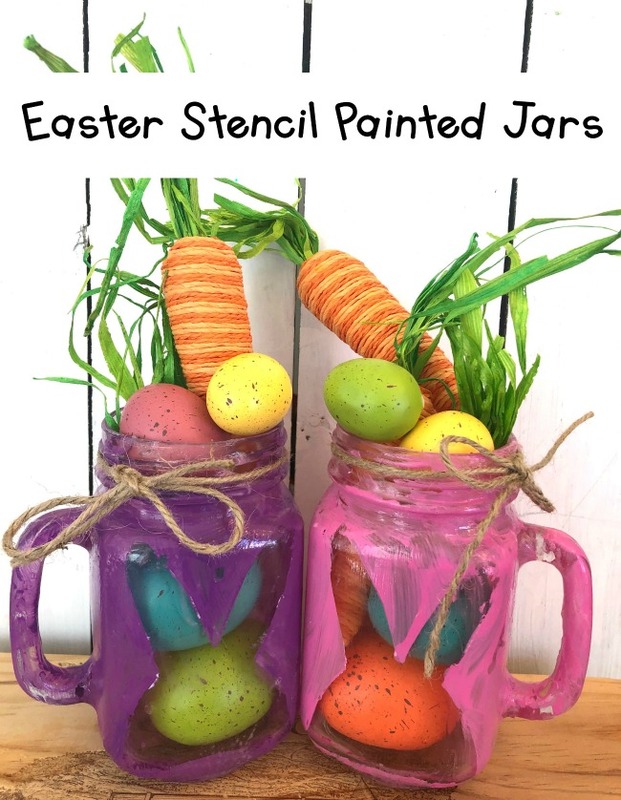 Add a bunny painted design to some Easter jars like these from Me and My Inklings to make a fun gift for anyone this spring! 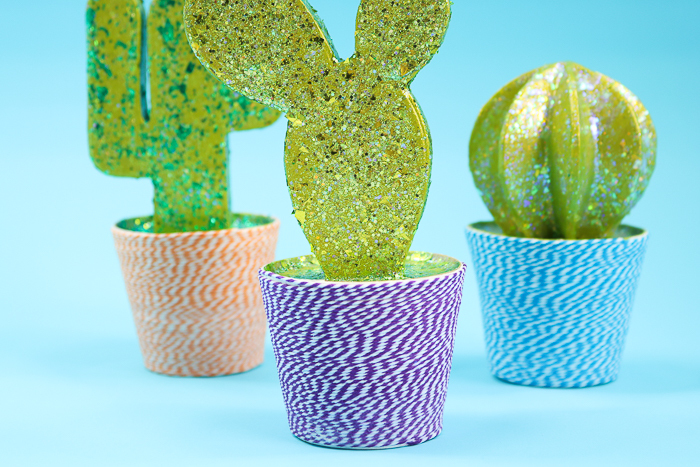 So, make a DIY cactus or one of these other great crafts with some decoupage! You are sure to love the results!